New Poll – What type of theme do you have on your iPhone or iPod Touch the majority of the time? Time for a new poll. The last poll was – On a daily bases when are you mostly likely to charge your iPhone or iPod Touch? Below are the results based on when we added a week ago. Well, it looks as though the majority of you charge your iPhone or iPod Touch at night while you are sleeping. Doug does that too! I am totally a day charger…I charge my iPhone pretty much all day long since I’m always at home on my computer. You can still vote on this Poll in our Poll Archive page. You can also vote/view all the past polls on the Poll Archive page as well. Here is the new poll. What type of theme do you have on your iPhone or iPod Touch the majority of the time? The Stock Theme - I love Apple's stock icons! Custom Theme - I installed via Cydia/Installer! Custom Theme - I SSH'd in! Custom Theme - I created myself! New Poll – On a daily bases when are you mostly likely to charge your iPhone or iPod Touch? Time for a new poll. The last poll was – What Carrier are You With?? Below are the results based on when we added the poll about a week and a half ago. Doug and I are with AT&T. It seems that I missed quite a few carriers…452 of you selected “Other.” Sorry about that! I really thought I had a decent list…my bad! You can still vote on this Poll in our Poll Archive page. You can also vote/view all the past polls on the Poll Archive page as well. Here is the new poll. You can choose more than one answer. 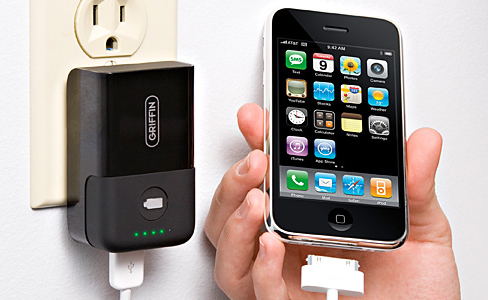 On a daily bases when are you mostly likely to charge your iPhone or iPod Touch?